Madruga Models had a brief existence in 1980 only. I recently acquired two craftsman kits for Sandy River flangers, offered by a company called Madruga Model Works. The photos of the finished models that accompany the kits are stamped on the back as being printed in February and June 1980. Here’s some more detail: Madruga Model Works was owned by Bernie Lewis and the address on the box is a PO box in Miltipas CA. The 503 comes with two sheets of plans – one by RH Werner, the other by JE Robinson, based on measurements taken in 1968 by RW Brown and additional data from E Bond. It looks like Bernie Lewis did 55 kits for 503. 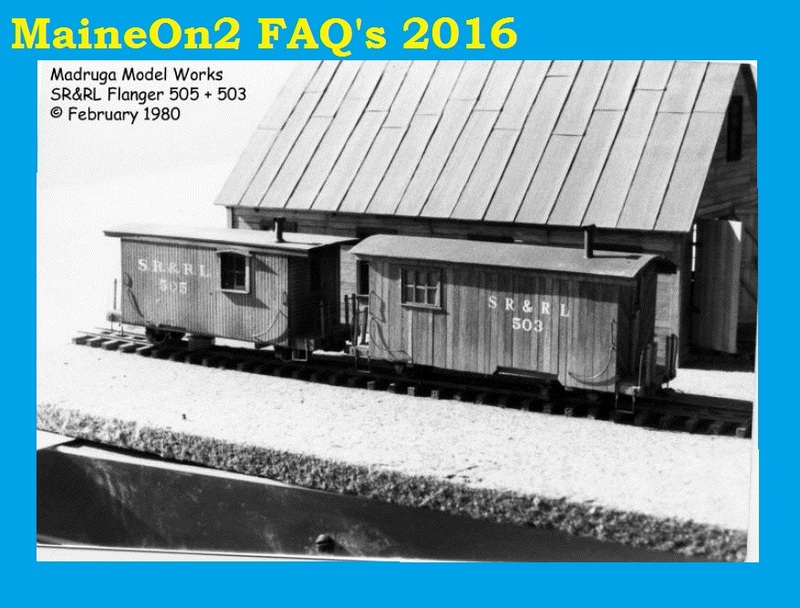 The 505 includes one sheet of plans by RH Werner, and 50 kits were produced. The kits each consist of a Grandt Line details, plus white metal castings for journals and the flanger blades that MIGHT be Portland products, or might be MMW’s own castings (does anybody know? ), plus strip and sheet wood in little baggies. Very interesting that you came across both Madruga kits by Bernie. Those were the only two kits that Bernie produced. Very nice kits even going back 28 years ago. Further kit production ceased due to a divorce! Bernie is a good friend from the past when we both lived in and around the San Francisco bay area and he now resides in Vermont. He, to the best of my knowledge, quit model railroading and does bird/duck carving. Has a Ph.D. in mathematics and has a very good sense of humor. Bernie and I did On2 modules depicting the Kennebec Central RR. I did Randolph and he did Togus. They were displayed at a NMRA show in San Mateo, California many years ago. I still have my diorama as I tend not to throw things away! Just ask my wife. R.H. Werner, Bob of Hobby Barn fame also a friend from the past who now resides in Arizona. Would love to see his Portland Products line reissued. J.E Robinson, John is also a friend and resides between Colorado and a ranch in Texas, He still does model railroading but enjoys his full size two foot RR on his Texas ranch. Talked with him at the 2008 NNGC. R.W. Brown , Bob, is the founder, owner and editor of the Gazette magazine. Bob and I have been friends for the last forty plus years. He is still very active in model railroading in Los Altos, California. Also talked with him at the 2008 NNGC. Bond, Ed, also a friend for some time is credited with many of the prototype two foot photos that we all use and enjoy. He was collecting prototype railroad photos since he was a teenager. 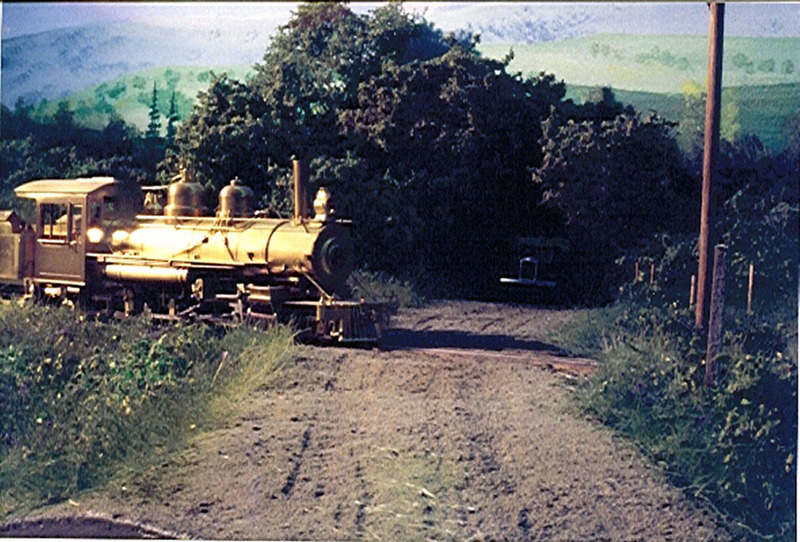 He is active in 7 1/2″ gauge live steam in Georgia. Had a pleasant visit with him a few months ago. I’ve known all of the Grandt family for the past 45 years. Dave still runs the business and Robb publishes a line of books pertaining to Colorado railroads. Met with both at the 2008 NNGC. Does the above suffice or is more needed?